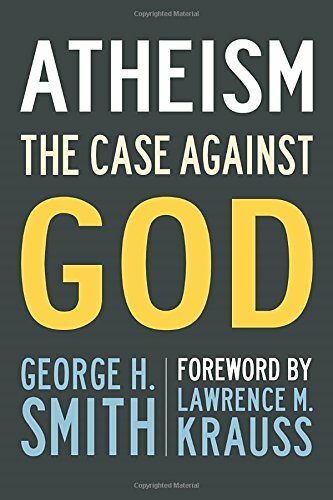 9781633881976 | Prometheus Books, July 12, 2016, cover price $18.00 | About this edition: In this classic treatise on atheism,Â George H.
9780393340655 | Reprint edition (W W Norton & Co Inc, March 26, 2012), cover price $15.95 | About this edition: "A worthy addition to the Feynman shelf and a welcome follow-up to the standard-bearer, James Gleick's Genius. 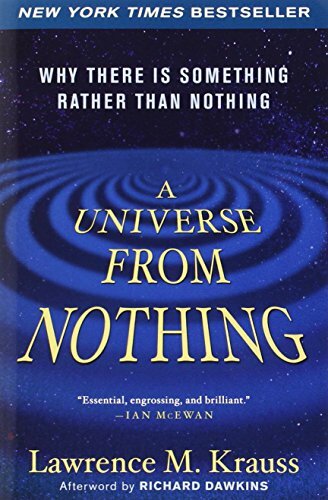 9781441780294 | Unabridged edition (Blackstone Audio Inc, May 1, 2011), cover price $59.99 | About this edition: A gripping new scientific biography of the revered Nobel Prize-winning physicist (and curious character) Richard Feynman. 9781441780263 | Mp3 una edition (Blackstone Audio Inc, March 21, 2011), cover price $29.95 | About this edition: A gripping new scientific biography of the revered Nobel Prize-winning physicist (and curious character) Richard Feynman. 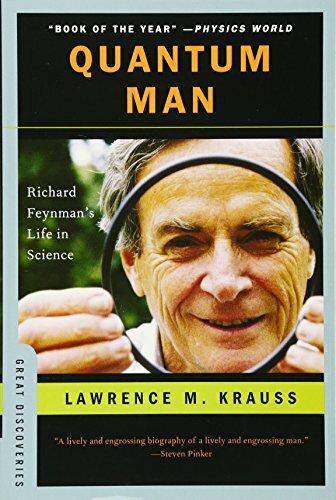 9781441780256 | Unabridged edition (Blackstone Audio Inc, March 21, 2011), cover price $29.95 | About this edition: A gripping new scientific biography of the revered Nobel Prize-winning physicist (and curious character) Richard Feynman. 9781441780249 | Unabridged edition (Blackstone Audio Inc, March 21, 2011), cover price $100.00 | About this edition: A gripping new scientific biography of the revered Nobel Prize-winning physicist (and curious character) Richard Feynman. 9781441780232 | Unabridged edition (Blackstone Audio Inc, March 21, 2011), cover price $65.95 | About this edition: A gripping new scientific biography of the revered Nobel Prize-winning physicist (and curious character) Richard Feynman. 9780316183093 | Reprint edition (Back Bay Books, May 1, 2002), cover price $20.99 | About this edition: The story of matter and the history of the cosmos is explored from the perspective of a single oxygen atom. 9781435296688 | Reprint edition (Paw Prints, June 5, 2008), cover price $28.99 | About this edition: Every atom in our bodies was once inside the fiery core of a star that exploded billions of years before our solar system was formed. 9780465002184 | Revised edition (Basic Books, June 4, 2007), cover price $15.95 | About this edition: Fear of Physics is a lively, irreverent, and informative look at everything from the physics of boiling water to cutting-edge research at the observable limits of the universe. 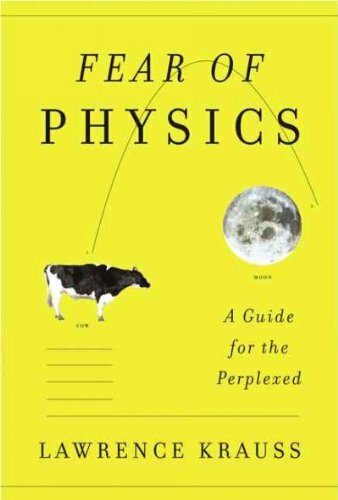 9780465023677 | Reprint edition (Basic Books, September 1, 1994), cover price $18.00 | About this edition: Assume the cow is a sphere. 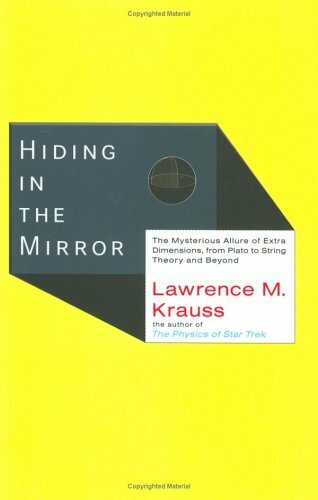 A renowned theoretical physicist applies his knowledge to the unique universe of Star Trek as he answers questions about warp drives, holodecks, and transporters, among other topics. Reprint. 125,000 first printing. Tour. NYT. 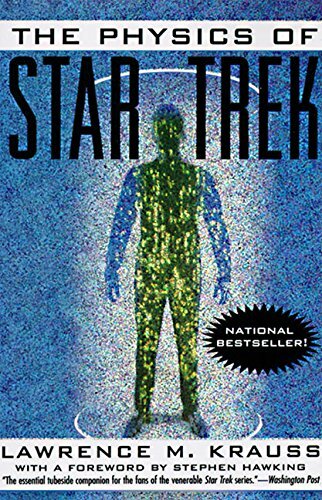 9780694516155 | Harperaudio, November 1, 1995, cover price $17.00 | About this edition: An introduction to physics uses 'Star Trek' as a reference point, explaining the intricacies of warp speed and describing the difference between a holodeck and a hologram. 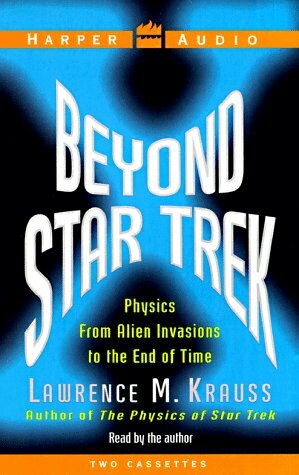 Introduces physics as it analyzes the science behind 'Star Trek,' explaining the intricacies of warp speed and showing the difference between a holodeck and a hologram. 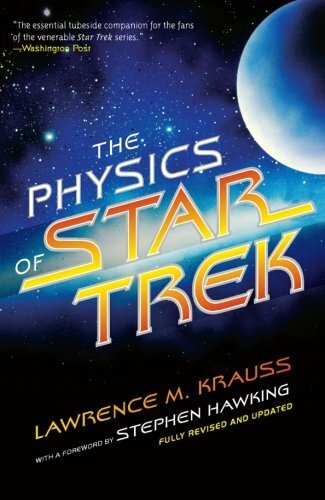 9780465002047 | Basic Books, July 9, 2007, cover price $16.99 | About this edition: Introduces physics as it analyzes the science behind 'Star Trek,' explaining the intricacies of warp speed and showing the difference between a holodeck and a hologram. 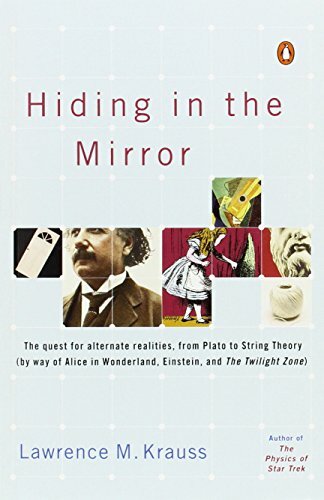 Draws on the works of scientists, mathematicians, artists, and writers, from Einstein and Picasso to C. S. Lewis, to consider the plausibility and human concept of alternate universes, exploring popular theories and misunderstandings about such topics as black holes, life in other dimensions, and string theory. Reprint. 30,000 first printing. 9780143038023 | Penguin USA, November 28, 2006, cover price $16.00 | About this edition: Draws on the works of scientists, mathematicians, artists, and writers, from Einstein and Picasso to C.
Draws on the works of scientists, mathematicians, artists, and writers, from Einstein and Picasso to C. S. Lewis, to consider the plausibility and human concept of alternate universes, exploring popular theories and misunderstandings about such topics as black holes, life in other dimensions, and string theory. 30,000 first printing. 9780670033959 | Viking Pr, October 20, 2005, cover price $24.95 | About this edition: Draws on the works of scientists, mathematicians, artists, and writers to consider the concept of alternate universes, exploring popular theories about such topics as black holes, life in other dimensions, and string theory. Not only is matter constantly changing - or 'morphing' - but it was created at the beginning of the universe and will cease to exist only when our universe does. 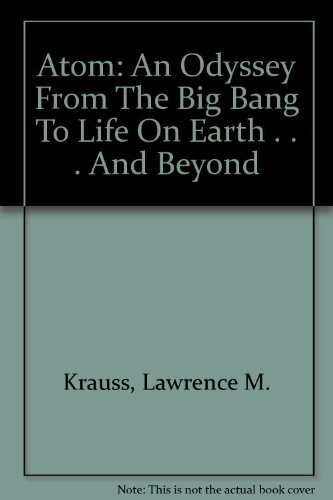 In this work, the author describes the journey of a single oxygen atom throughout our universe, starting with the Big Bang. 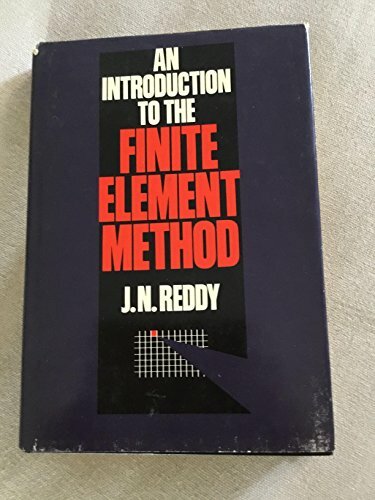 9780349114835 | New edition (Gardners Books, May 2, 2002), cover price $18.00 | About this edition: Not only is matter constantly changing - or 'morphing' - but it was created at the beginning of the universe and will cease to exist only when our universe does. The story of matter and the history of the cosmos is explored from the perspective of a single oxygen atom. 9780316499460 | Little Brown & Co, April 1, 2001, cover price $26.95 | About this edition: The story of matter and the history of the cosmos is explored from the perspective of a single oxygen atom. 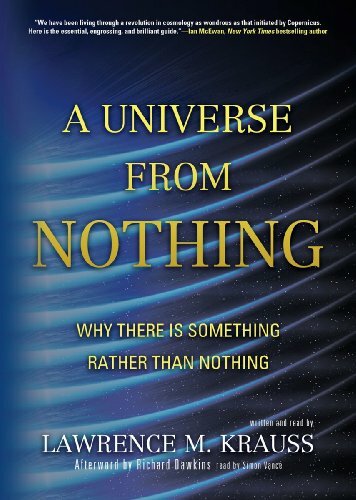 Told with the insight and the wit of a premier physicist, the story of matter and the history of the cosmos is explored from the perspective of a single oxygen atom. 35,000 first printing. 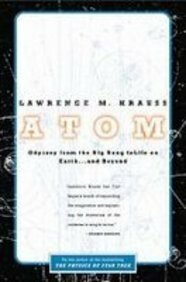 9780759563186 | Little Brown & Co, April 11, 2001, cover price $9.99 | About this edition: Told with the insight and the wit of a premier physicist, the story of matter and the history of the cosmos is explored from the perspective of a single oxygen atom. 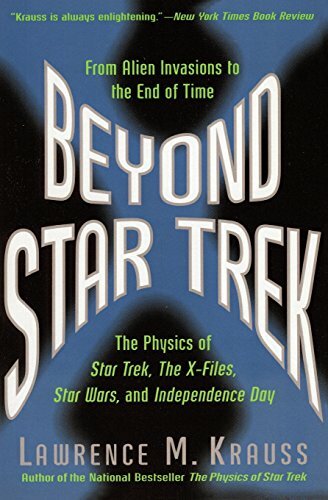 The physicist-author of the best-seller, The Physics of Star Trek examines the scientific plausibility of scenarios seen on such popular programs and movies as Independence Day, Star Wars, and The X-Files. Reprint. 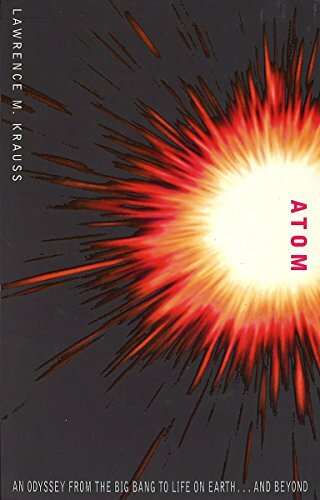 9780788192067 | Diane Pub Co, March 1, 1997, cover price $21.00 | About this edition: Lawrence Krauss takes a provocative look at how the laws of physics relate to notions from our popular culture - not only Star Trek, but other films, shows, and popular lore - from Independence Day to Star Wars to The X-Files. A combination of science and entertainment provides insight into unanswered questions, ranging from the existence of life on Mars and alien abductions to intergalactic space travel by humans and the possibilities of government conspiracies. 9780694519002 | Harperaudio, November 1, 1997, cover price $18.00 | About this edition: A combination of science and entertainment provides insight into unanswered questions, ranging from the existence of life on Mars and alien abductions to intergalactic space travel by humans and the possibilities of government conspiracies. 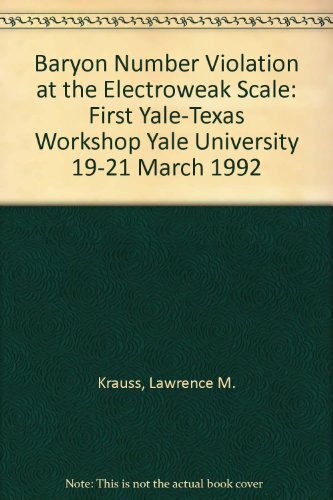 9789810211455 | World Scientific Pub Co Inc, November 1, 1992, cover price $45.00 | About this edition: A record of the proceedings of the meeting which addressed the question of whether baryon number violation can occur - in the standard model of weak electromagnetic interactions - at rates which can be relevant to cosmology and particle experiments.